A few years ago my sisters decided that I was the perfect caretaker for my father's camera. We all have memories of being forbidden to touch the damn thing when we were kids, but we rather like it now. It's a Zeiss Ikon Contina, built in Germany in the early 1950s. That's something rather strange. Dad was actively involved in WWII, and didn't have a whole lot of time for Germans or anything they did, so I can't quite fathom what he was doing with a German camera. On the other hand, he was fond of nice engineering, so perhaps he was able to overcome his reluctance. 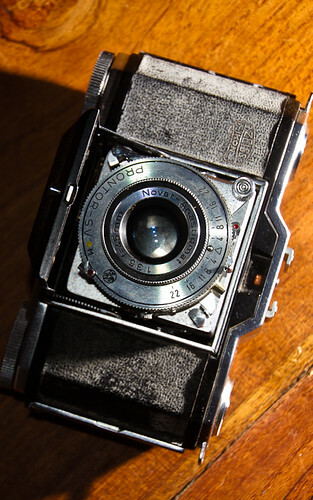 The Contina was an aberration in the model release strategy at Zeiss Ikon. 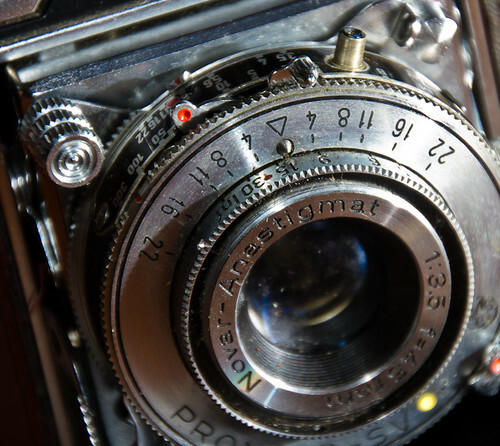 The camera was known as the Ikonta for a few years, and then the name changed without anything else being different. In fact, the manual that I still have for the camera is for the Ikonta. 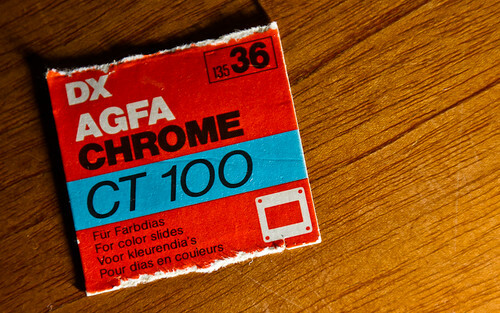 Dad used the Contina for years, almost entirely for the production of slides, and there were regular slideshows at home in the early days. One of my sisters has the resulting images, so that's her problem. I haven't actually used the Contina, but all the mechanics of it seem to work just fine so far as casual fiddling can tell. It is s very fine specimen of a camera though Jim, love it and I bet it feels good in the hand too. 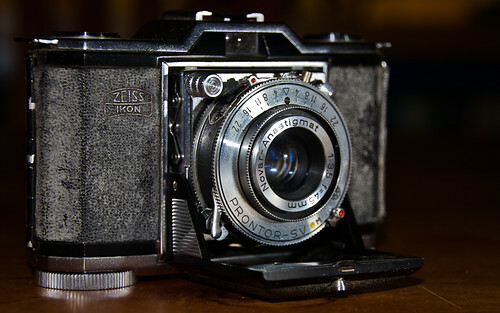 My first good camera was a Zeiss Ikon also, but a 120 film, 12 on a roll at 2 1/4 square, gave brilliant results though.